Description: Poured a translucent rolla-cola brown with a thin tan head that last about 2 seconds. Aroma of dried sticky fruits, spice, a little molasses/brown sugar, and boozy rum. The flavours match that: figs, prunes, cinnamon/aniseed, light chocolate, and treacle. Mid-bodied, relatively low carbonisation, and slightly sticky. The booze provides a warming rumminess throughout. Thoughts: Definitely a beer more for Halloween that August. Still lovely though, but I have to admit I expected a wee bit more as it warmed up. A sipper that’s worth seeking out. Description: This one was lovely peach colour, hazy (this may have been more to do with my bad pouring/settling than the beer itself) with a big fluffy white head. 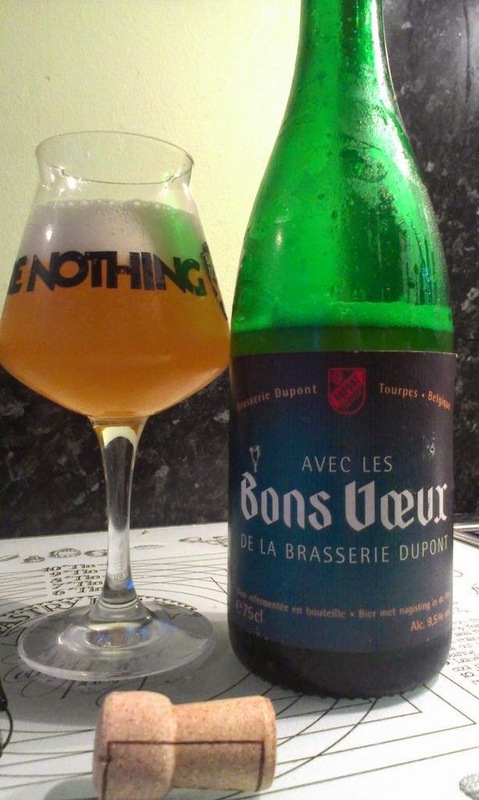 The aroma is unripe banana esters and a yeasty doughy funk. The first taste to hit is that banana, followed up by some pepper, then a lingering grassiness and lemon rind, and finally a rustic spiciness. 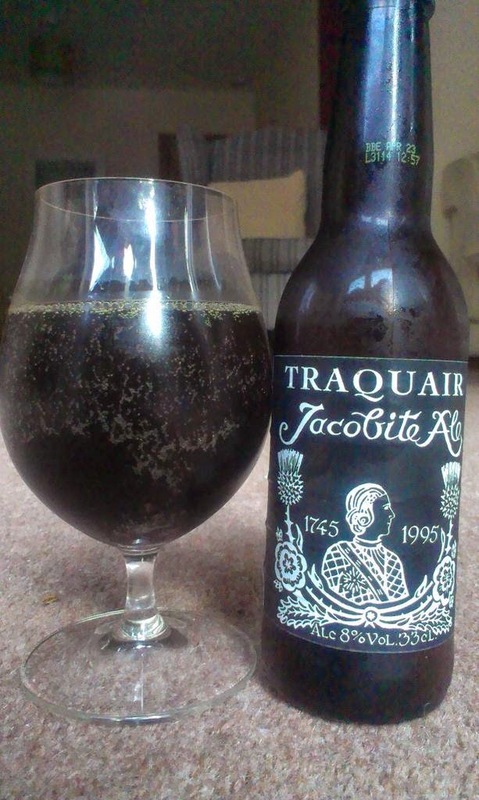 Jesus this thing is 9.5%... unlike the Jacobite Ale you’d never guess the strength. Light but a fair amount of carbonisation. Thoughts: Another clinker, great summer drinker but at 9.5% one to be wary of – definitely for sharing in the big bottle form. Overall I think the DuPont Saison is a easier drinking beer beer, but certainly would advise anyone to give this a whirl. I didn't take any notes, but Mark & Spencer’s (well Oakham Ale's really) Citra is great value for money in their current 3 for £6 deal – great flavour for the price. The Dirty Duck also now has Schneider Tap 1 in bottles on sale as well as their rotating list of cask ales (I say rotating but mainly it’s a mix of Shepherd’s Neame and Hilden stuff – though their ale festival later this month is likely to bring a few more options forward and I hope to get down to check it out).